I signed a cookbook deal last week. And so begins the frantic, not enough time, spending to much money on groceries, stress, lack of sleep that has nothing to do with my toddler, phase of my life. 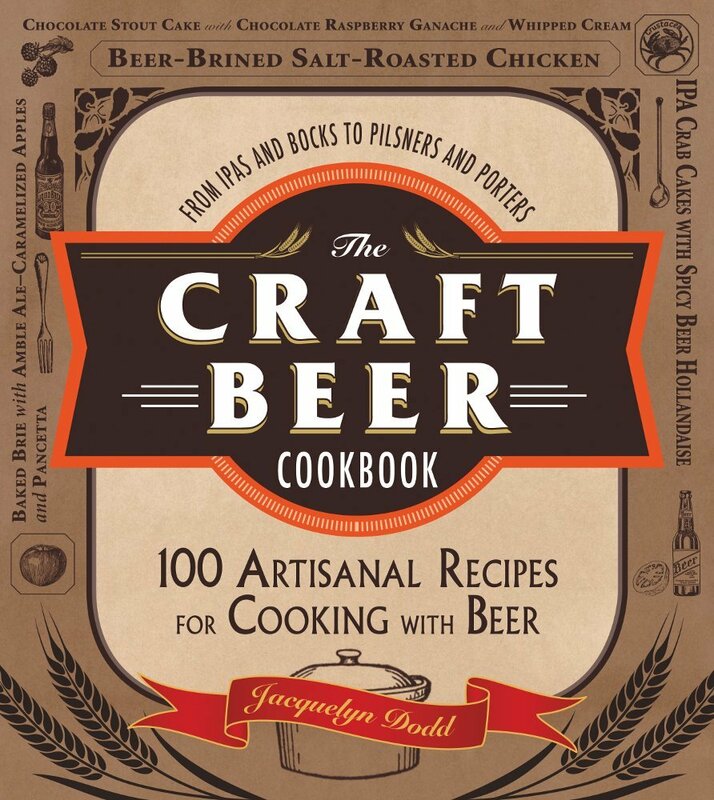 The book is focused on cooking with craft beer, the subject of my other blog, The Beeroness, from which the book truly sprang. Even with all the warnings from those who have gone before me, all the friends I have who have written cookbooks, novels, non-fiction research books, I am thrilled. Even though I realize that writing a book is light years more work and far less money than anyone ever thinks, I’ll never stop being grateful for being given this opportunity. So for now, lets make some candied bacon. First, what do you DO with candied bacon? 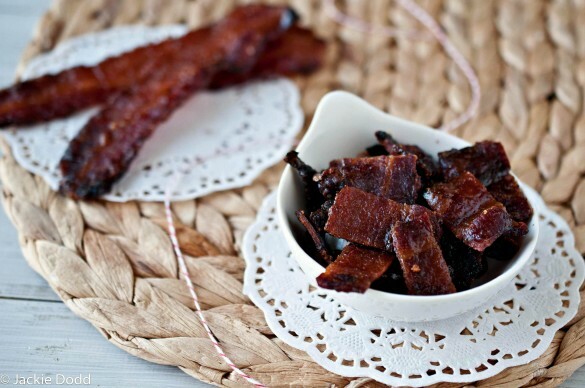 The better questions is, what wouldn’t you do with candied bacon? 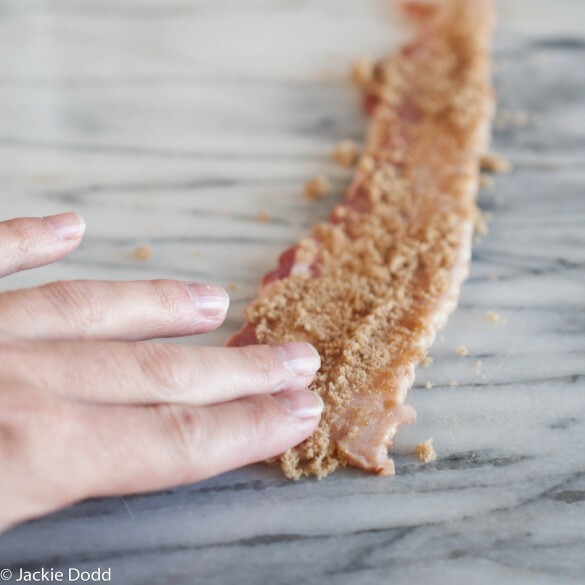 Sprinkle one side of the strips of bacon with brown sugar. Press it into the bacon well. 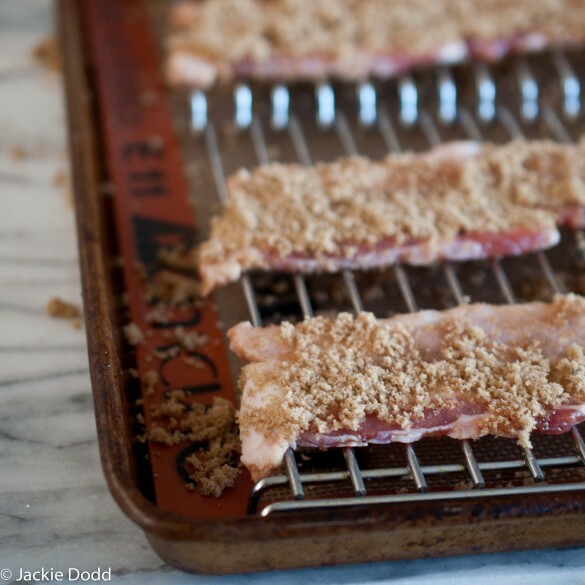 Place the bacon, sugar side down, on a wire rack on top of a baking sheet. You are going to want to cover the baking sheet with a Silpat or aluminum foil, the drippings will burn and be difficult to clean. Top the other side of the bacon (the side facing up) with more brown sugar and press into the bacon. Using a pair of tongs, turn each slice and continue to bake until a dark brown and cooked through. Bacon will not crisp in the oven. Bacon will not get crispy until it cools and the sugar has hardened. Allow bacon to cool, chop and use in all sorts of amazing ways. I’ve made something similar with eggplant ‘bacon’ but boy my hubs would love your version! CONGRATULATIONS, on the book!!! All our love and best wishes. 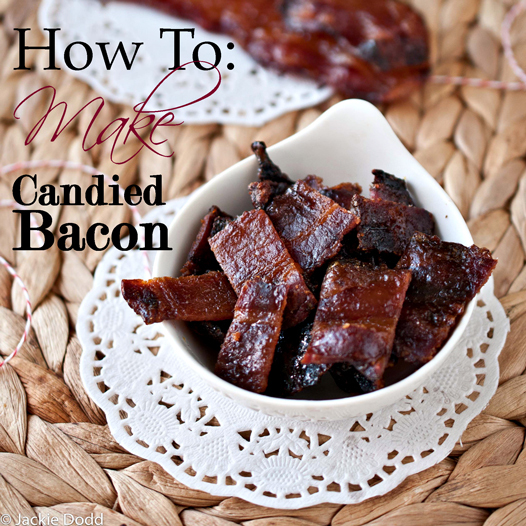 The candied bacon looks amazing, I am sure the Mr. will love this one. Congratulations on your cookbook deal, Jackie! I know it’s going to be a hit! This bacon sounds so intriguing, especially in chocolate chip cookies. This is AMAZING news!!! Congrats! You Sooooo deserve it 🙂 And candied bacon is something I know my boyfriend will go gaga for. That is amazing!!!! Good for you! CONGRATS! That’s amazing news 🙂 I am sure you will be great at it. Congrats on the cook book deal!! You deserve it. As a struggling writer, I can’t wait for the day I get the call or in this day and age, the email. As for this bacon, it’s midnight and you’re pictures are making my stomach growl. As soon as I wake up tomorrow, I am making this for breakfast. FACT. Thanks! I’ll be adding this to my chocolate cupcakes from now on! That’s great about the book – I agree – who cares what other people think – how hard it will be – enjoy the process! BACON! SUGAR! That’s a lot of awesomeness in 2 simple ingredients. Try coconut sugar (though taste varies on the product), it lends a hint of nutty and caramel flavor to the bacon. And I can’t wait to find the book. 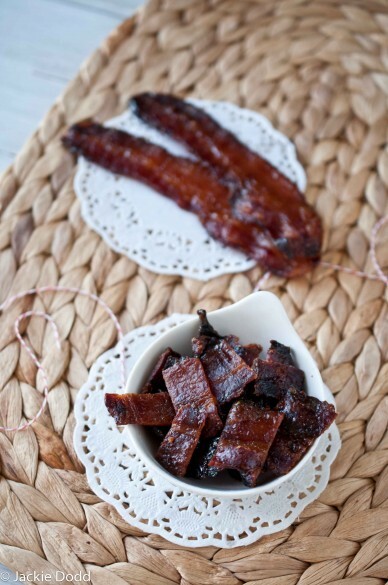 And this candied bacon? Uh, I’m totally bringing this as my dessert to Thanksgiving! YAY!!! I am so excited for you Jackie! The Beeroness site is so awesomely cool it was only a matter of time. I am so looking forward to hearing about you go through this process and I can’t wait to get a hold of a copy once it is published! Lovin’ the candied bacon. I mean, it’s candied bacon! Great post! Sounds amazing, will make soon. I’ve made similar on numerous occasions but I quarter the slices of bacon first then dip in either pure maple syrup or agave syrup then cover with brown sugar. Decadent! An old friend of mine use to make this, but he sprinkled cayenne pepper on it. It was so delicious, all hot and spicey. He would always bring it to parties to share with us. Try it! I like crumpling up the said bacon and stirring it in ice cream. Coffee ice cream worked really well. Haven’t tried other flavors yet. This is so yummy! I made a sandwich with the bacon. Make 2 waffles that are on the crispy side (they act as the bread), use the bacon to make the “sandwich.” I cut it in half or quarters for easier dipping. Dip in maple syrup or preserves of your choice. So,so,so good. Even better when you use maple bacon for this. Congratulations on your book deal! You forgot the most important and popular way to use this. EAT IT! Yeah…just like it is. I could (and have) eaten a pound of it! Can I use turkey bacon? I have a family member that doesn’t eat pork. I have never used turkey bacon so I don’t know if the texture, taste and consistency would be OK.